From VA 256 westbound. Photo by Mapmikey, taken January 17, 2007. 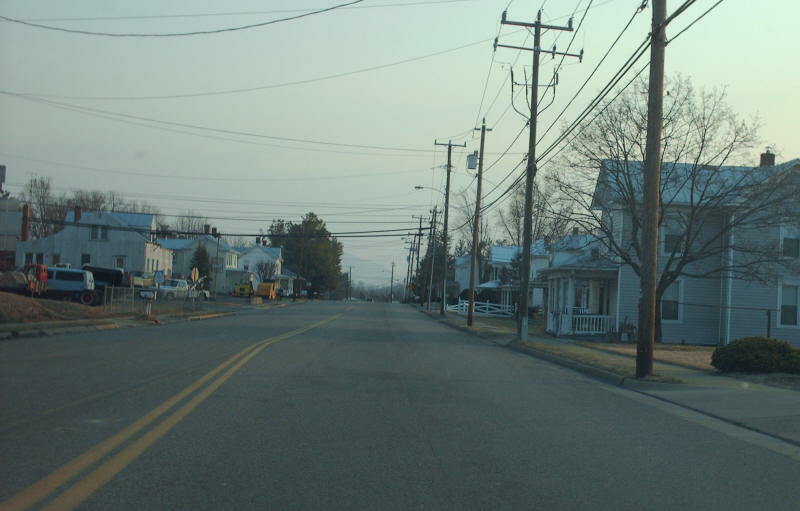 From VA 256 eastbound at sunrise. Photo by Mapmikey, taken March 10, 2007. Beginning up VA 276. Photo by Mapmikey, taken March 10, 2007. 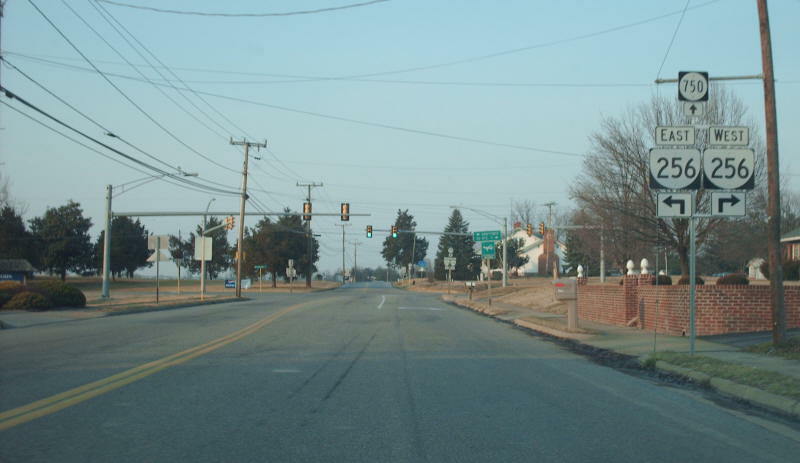 Approaching the end of VA 276 at VA 256. Photo by Mapmikey, taken March 10, 2007. Looking west on US 33. Photo by Mapmikey, taken January 17, 2007. From US 33 eastbound Photo by Mapmikey, taken January 17, 2007. 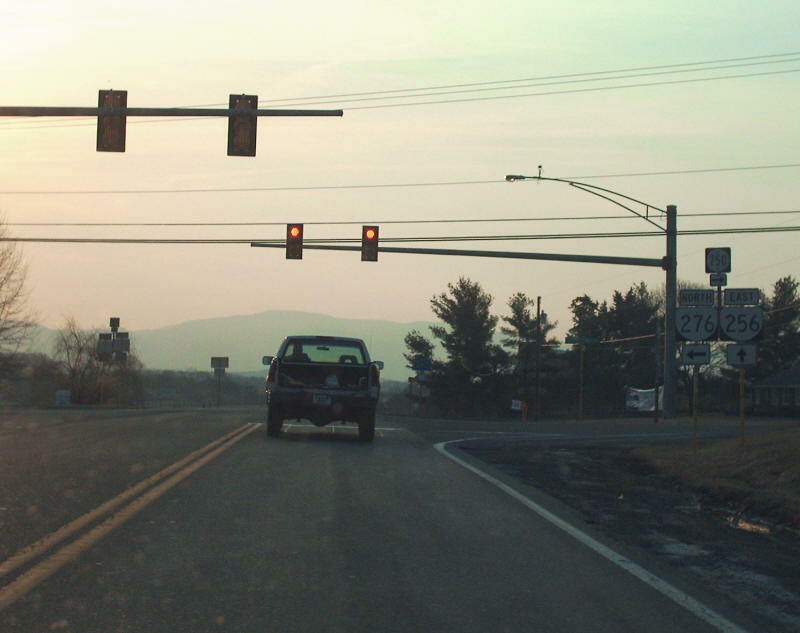 Beginning down VA 276. Photo by Mapmikey, taken January 17, 2007. Approaching US 33 on VA 276. Note the old alignment to the right of what was probably SR 620 when in use. From 1945-1955, VA 276 continued straight. Photo by Mapmikey, taken January 26, 2007. Approaching US 33/VA 276 from SR 620 (old VA 276). Photo by Mapmikey, taken fall 2010. 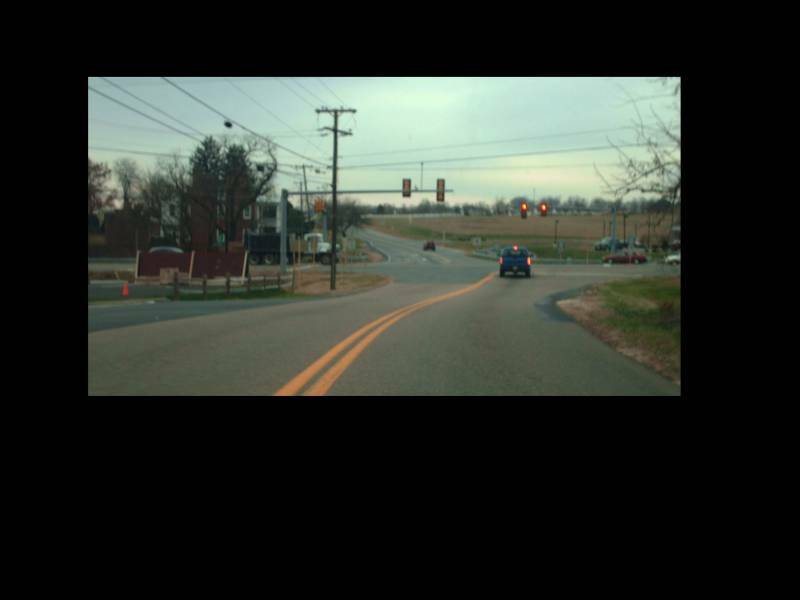 From 1945-1955, VA 276 ended at US 33, now Country Club Road in eastern Harrisonburg. This is looking west on CC Road, with old 276 at the right. Photo by Mapmikey, taken January 17, 2007. 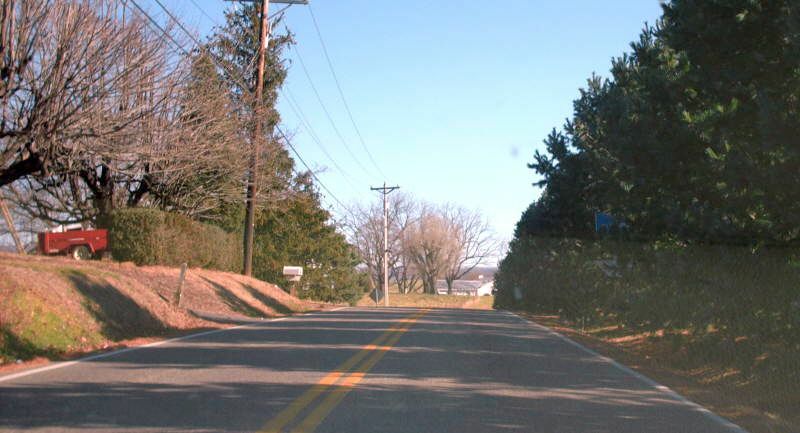 Beginning down SR 925 (old VA 276), which was the original VA 253 from 1933-45. Photo by Mapmikey, taken January 17, 2007. SR 925 ending at CC Rd. Modern US 33 is very close by to the left. Photo by Mapmikey, taken January 17, 2007.